Think your boys are tough on furniture? They just met their match! - Every bed that we make comes with a 5-year repair guarantee to cover any damage caused by a defect in the materials or workmanship. - Damage from abuse will not be covered, but any situation will be considered with the customer in mind. 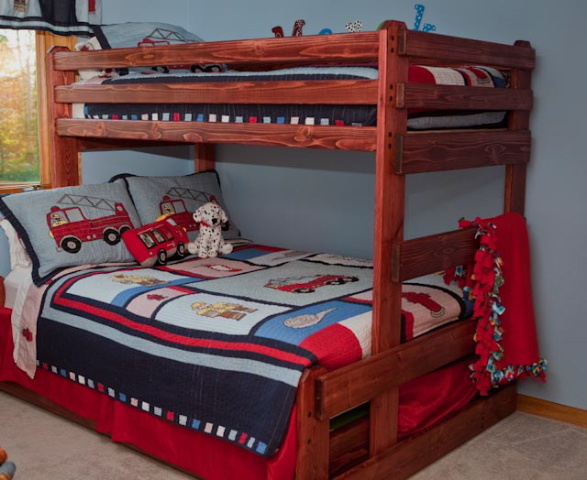 - Bunk Beds, Loft Beds, L-Shaped Beds, Triple Bunks, Individual Beds and More! - Trundle Beds, Storage Drawers, Desks, and Headboards with more to come!